Hello! Aren’t we all excited to be back here for another Top Ten Tuesday? Yes? Good answer! In case you were wondering, I’m thoroughly enjoying lazing about having finished uni – it turns out I’m quite good at doing mostly nothing. It also turns out that I’m not so good at keeping up with NaNoWriMo – I’m not horribly behind I’m just . . . having random bursts of writing episodes at about 10pm each night? Oops? Which is going to make this reasonably similar to a recent TBR post I did but not quite! All these books are my most recent purchases that I haven’t read yet. If I wanted to do a list of the ten most recent books I marked as “sounds good” on Goodreads, that’d be a whole other story. This must be a dream after all. I pinch myself. Why the hell aren’t I waking up? After mysteriously waking up on a different planet, not knowing how she got there or even her name, K – as she becomes known – finds herself in a fascinating world much different to the one she can barely remember. K becomes part of an Exodian family and begins to feel at home on the beautiful, peaceful planet known as Exodus. That is until her new world is turned upside down. 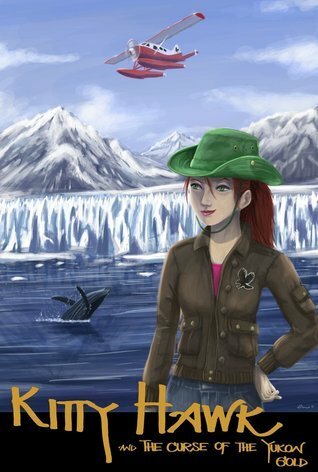 Can K be brave enough to stand up to the enemy and help her new family save their planet? 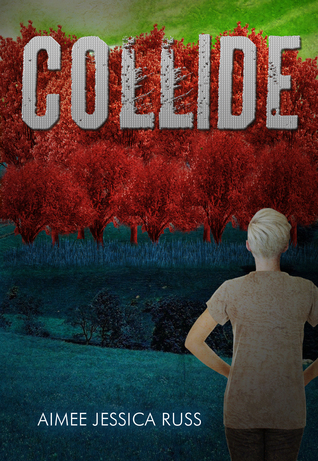 Collide was the book in the October edition of The Dragon’s Hoard. I think it sounds really interesting and I can’t wait to get reading. Casey (@AdoptaBookAUS) and myself will be doing a read-along for it starting on the 15th November so don’t forget to grab a copy and join im! 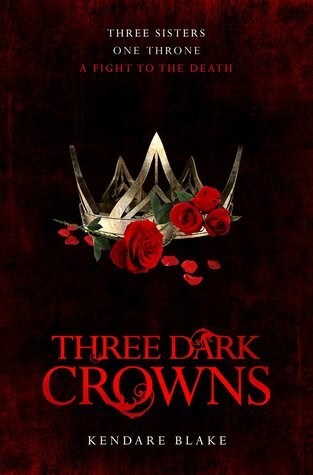 And continuing on the trend, Three Dark Crowns was the book in the October edition of The YA Chronicles. I’m super excited to have a copy of this because I wasn’t planning on buying it for a while but YAY. Sisters with magic fighting and much fantasy angst? YES PLEASE. 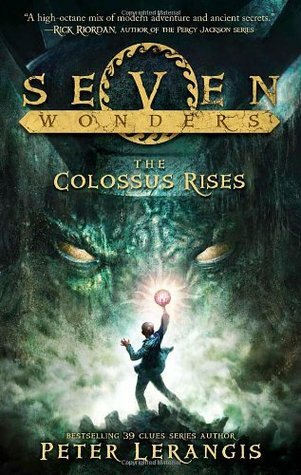 I’m really excited to read this book because it’s the sequel to Magonia which came out last year and I thoroughly enjoyed it. I can’t wait to see what weird and wonderful things Headley throws our way in this book becasue boy oh boy was book one delightfully weird. If you’re not screaming with delight becasue this is Howard’s new book then I don’t know what is wrong with you. I cannot wait to pick this one up because it sounds amazing and I’m fairly certain I’ll be able to eat read the whole thing in one go. I was sent this book for review which was very kind and I’m very intrigued to see what it’s like. The edition I have actually has a much nicer cover than this is and it does sound like it’ll be quite the adventure. I’m sort of expecting Geronimo Stilton-type fun but for an older age group. Well of course this one is on my list! One does not read a Ransom Riggs book and then not continue the series. I cannot wait to see where the characters go in this second instalment because I absolutely adored the first book! And I also have the third book here because I strongly susepct that I’ll want to just pick it up straight away after finishing the second to get to the end of the story. I can’t believe I put this series off for so long! I bought this one at a second hand bookfair mostly because I liked the cover (don’t tell me you haven’t done that before). It turns out my brother actually also has a copy of this but HEY HO, two is a fun number, right? I cannot wait to read this, really. I’m so anxious about the fate of all the characters and just ARGH. It’s goign to be a whirlwind of a read, I just know it. 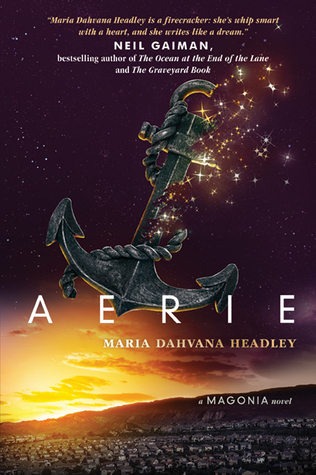 And this was the book from the September edition of The YA Chronicles. I’m curious to see what this book is like, I hadn’t heard of it at all before receiving it in the box so it’s a nice surprise. Fingers crossed it’s good! Hopefully I don’t add too many more books to this list just yet – wouldn’t it be nice to exercise self-control and not have a massive book buying spree every month? (Hah! Who am I kidding, that’s what we live for!). What’s the latest book you added to your TBR? Argh, don’t you hate it when the paperback takes forever to come out? That’s interesting though, I have it in paperback – hopefully it comes out soon for you! 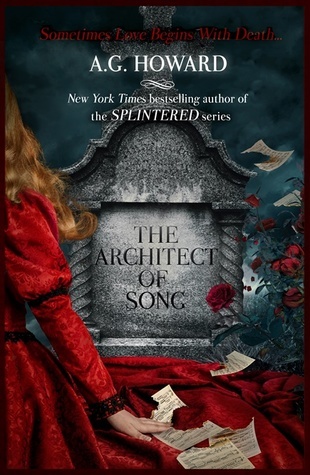 Ooh, I hope you enjoy The Architect of Song, I’m so excited to read it, it’s crazy. Fingers crossed it delivers! Thank you! Oh my – such a lot of books on here that I need to catch up with! Crooked Kingdom for example. And the Peregrine books have a second and third already out and I haven’t read the first – note to self! haha it’s always overwhelming with how many books come out & impossible to keep up with them all! I can’t wait to finish the Miss Peregrine’s series, though! 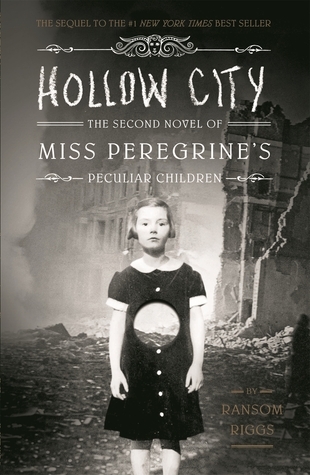 I hope you enjoy Hollow City and Three Dark Crowns as much as I did. 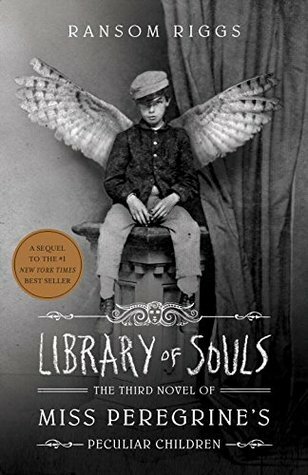 I need to pick up Library of Souls. It is a shames I have slacked on that series so much. I hope so, too! I’m glad to hear you enjoyed Three Dark Crowns – I feel like I’ve heard some mixed things lately, but I’m holding out for it to be amazing!! (and don’t worry, if you saw the number of series that I just did not read the third book for because I’m a slacker . . . sheesh). Words in Deep Blue sounds super interesting. I’ve never heard of it, but I definitely will be on the lookout for it. It does sound really interesting, doesn’t it? I thought it was quite a good pick for the subscription box it came in, and I’ve heard quite a few good reviews. I definitely think it’ll be an intriguing read! 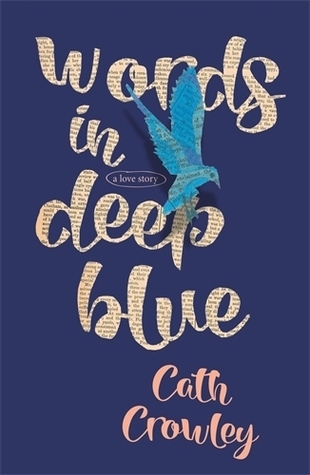 Words in Deep Blue is amazing! I also got it from Ya Chronicles and I loved it. That’s great to hear!! I can’t wait to read it and see what it’s all about! Great picks for this week Kirstie, the ones on your list I’ve read I’ve loved so I really hope you do too. Crooked Kingdom is actually my favourite book of 2016 as well! Gah! I’m just so excited to get to them all. 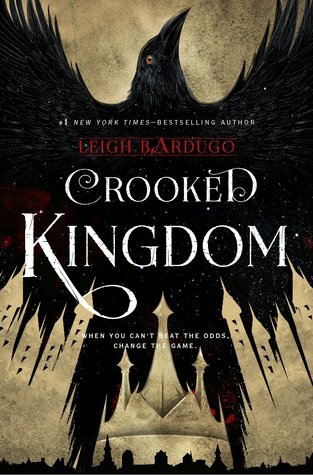 You’ve just made me infinitely excited about Crooked Kingdom, though! I feel like I’m hesitant to pick it up because I’m anxious of how good it will be (which makes no sense but go with it). I’d highly recommend picking up Crooked Kingdom ASAP, and I know this isn’t helping your anxiousness about this book any but it was just an amazing read. I know what you mean though, I have a few books that I haven’t picked up because of the same reason! Yeah that’s definitely what I’m starting to do, I’m piling books on my to-read list thinking I can get around to them when I know I likely can’t! Thank you!! Yes I feel like I’m just sort of bobbing around feeling terribly naughty for not doing any homework. It’s definitely going to take some time getting used to the freedom! Just bought Three Dark Crowns recently, can’t wait to read it. I’ll be really interested to see what you think of Three Dark Crowns!! It was a bit of a miss for me, but I’m intrigued about the sequel. I really need to read Library of Souls and start Six of Crows! I can’t wait to read it!! I do hope I like it. And yes you do need to read Six of Crows!! YES to Three Dark Crowns and Aerie! They both sound amazing 😀 I still need to read Six of Crows myself – and Bardugo for that matter. I’m planning on starting with the Grisha trilogy and working my way from there! Omigoodness, yes you do need to read Bardugo’s stuff!! It’d incredible! !